Our Trash bags are manufactured from 65% recycled plastic, reducing pollution and saving energy. If every household in the U.S. utilize 65% recycled plastic trash bags and not bags made from virgin plastic we could save enough energy to heat and cool more than 2,000 U.S. homes per year. 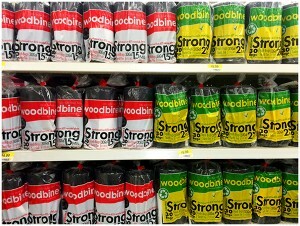 Woodbine City Style trash bags are thicker in gauge and offer additional stretch, high punctures and tear resistance. Our blend assures quality bags, friendly with the environment for use in the more demanding applications requiring additional strength and stretch.